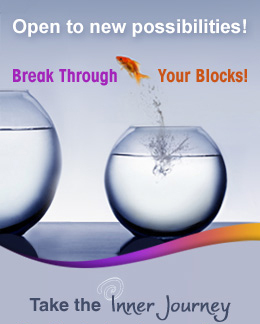 GROW Yourself & Heighten Awareness that flings open new doors to more freedom, fun and fortune! The right growth development tools, courses and worksheets bring deeper understanding, creativity and intuition. Just imagine - enjoyment and peace of mind at your control. Are you negative, bored, worried or stuck in mediocrity? Do you want more mind power, trust, creativity, understanding, awareness, motivation, direction and clarity? Allow your ever enhancing awareness to expand you creativity, intuition and connection with consciousness. At Higher Awareness we offer you 6 in-depth growth and awareness development programs and many resources to help you with developing mind power and higher awareness. "There is only one journey. Going inside yourself." You also have access to everything on the site -- over 40 programs and 250 resources. It's like instantly having your own personal growth library of solutions! 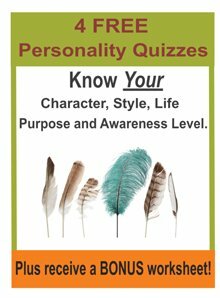 Grow Yourself Online Workbook - What is personality? What is soul? How do they interact? Experience the power of living soulfully in the present moment. Learn higher perspectives to heal the past and create the future. Also learn a process for conscious co-creation. Comes with 30 days of inspirational support emails. Journal Writing Topics Online Workbook - You'll access your own inner wisdom by tapping into the unconscious and intuition. Effective for releasing stress, blocks and negative emotions, and for sparking imagination and greater vision. Go deeper... Reach higher... Journaling for Self-Empowerment. Each tool has exercises for getting started, going deeper and reaching higher. Creative Thinking Online Workbook - Find more ways to get what you want. Tap the incredible creative capacity of your mind. One tip alone will triple your creativity. You'll solve problems and create more options quickly. Learn 10 easy lateral thinking and creativity exercises and techniques. Comes with 30 days of support emails. Distinguish between creativity and intuition? Write Your Own Life Story Online Workbook - Draw on 10 easy-to-use self-understanding tools. Put meaning, confidence and ownership into your life. Be supported by one month of inspirational emails. Relationship Development will improve situations in all areas of your life. We find our greatest fulfillment and rewards in connecting with others. At the same time, relationships also bring us our greatest frustration, anger, disappointment and grief. Ailing and broken relationships cast a heavy shadow over our enjoyment of life. Build healthier relationships. Explore your role in the dynamics of connecting with the important people in your life. Discover how you can find more satisfaction and fulfillment with others. Overcome conflict, boredom and disrespect. Discover how you can find more satisfaction and fulfillment with others. Receive 20 emails over 40 days. Is it time to do something to build respectful and caring connections with others? help you understand and bridge the dualities of life - the positives and negatives, the higher and lower roads. describe both personality and soul and how to bring them together in full, genuine expression. support you in grounding spirituality in your everyday living. awaken you to your authentic self. open the door to new levels of freedom, power and contentment. 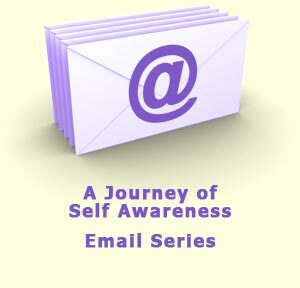 provide thought-provoking and inspirational emails every 2 days over 2 months. Creativity and Imagination - Spark lots of new ideas! Develop your mind. Decision Making - Make clearer, more creative and more fun choices. Balance - Maintain balance in all areas of your life. Develop the Mind - Become more aware of how your mind creates your reality. Expand your creativity. Be inspired to be all you can be. Experience Creative Mind Development techniques. 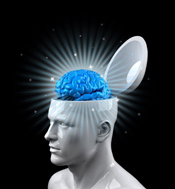 Lateral Thinking - The fastest way to develop creativity. Mind Mapping - Watch your brain work graphically. Allow Alliteration - Identify infinite important informative ideas. Rhyme Time - Find and unwind your kind mind. Alpha Poems - 26 quick creativity stimulators. Metaphors - Explore different ways to say the same thing. Modelling - Often the indirect route is the best route. Artwork - Allow your inner artist to share its wisdom. Hot List - Keep handy your list of most important topics for journaling. Dialogue - Converse with whoever and whatever you want. Intuition Blocks - What filters, distorts and stops your intuition? Intuition - How to Develop it - Access your own intuitive guidance. Journaling Tools - Which of 40 tools work best for you? Journal Types - What types of journaling would benefit you the most? Imagination - Imagine what you can do! Why do Questions Work? 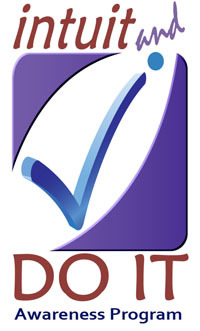 - Prove it to yourself with this short exercise. Journaling for Self Discovery - Unleash the power of your heart and mind. Setting Up A Journal - Find the ways that work best for you. A Journaling Process - A simple 4 step process give you better results. Choice - Choose what you want in life! - How to choose differently.